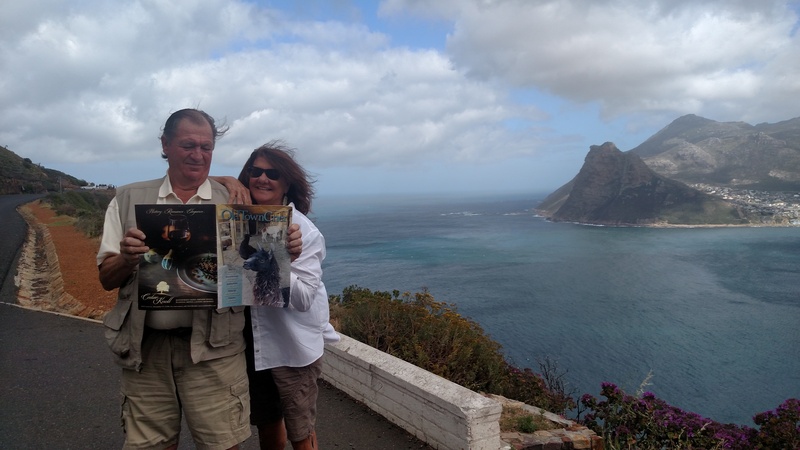 Matt Gambrill, Calvert Marina owner and operator and his wife, Carmen Gambrill, owner of carmen’s gallery in Solomons, Maryland enjoy the Old Town Crier on the road to Cape of Good Hope in South Africa. No cobra is going to keep Matt, from his reading. 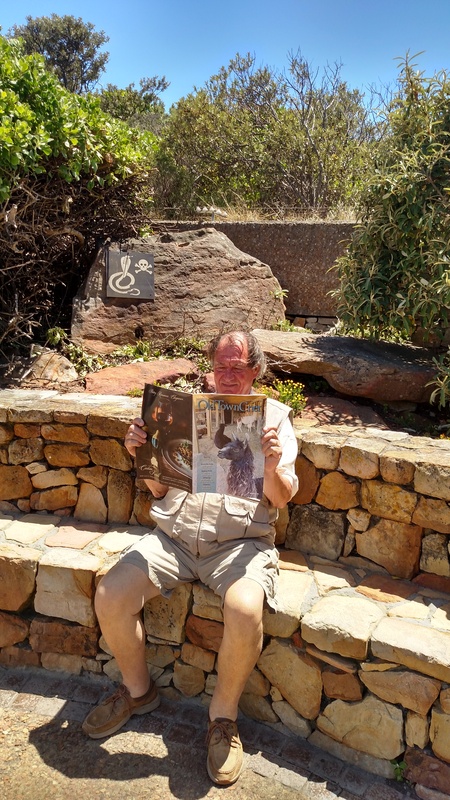 This photo was taken on the very southern point of South Africa.